Words Alive is working alongside some great organizations to support early education in San Diego, such as the Education Synergy Alliance P-3 Salon and the Diamond Education Excellence Partnership. Words Alive brings our expertise in early literacy to the table offering Family Literacy programming as part of community solutions. Early childhood education lays the groundwork for success in Elementary School and beyond. 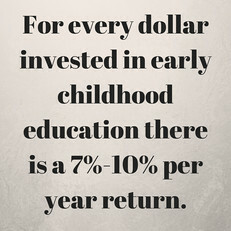 it also pays to invest in a child’s early years. The Heckman Equation shows for every dollar invested in early childhood education there is a “7%-10% per year return, based on increased school and career achievement as well as reduced costs in remedial education, healthy and criminal justice expenditures” for early childhood education. During a recent visit to Dewey Child Development Center to join the celebration of families graduating from the Words Alive Family Literacy Program, I was struck by the story of a mother’s resilience and the role she felt Words Alive played in helping to empower her to be her child’s first and most important teacher. Maria has 2 children, Max age 4 and Camila, age 7. Maria shared that growing up and attending school in Mexico, reading was a challenge because she did not have books or the support that she needed to make reading accessible; “My parents never read to me, my mother never came to my school.” Asking what influence the program had on reading habits with her children, she continued “one of the most important things I learned is that reading isn’t just about the words on the pages, it is about colors, the pictures, rhyming, and the themes in the book." 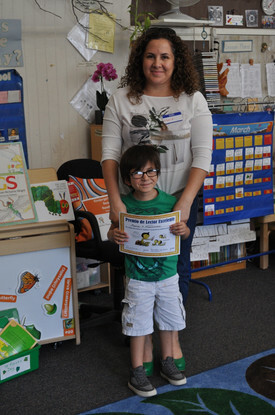 Maria said that both of her children are more engaged in reading now because she knows how to make it a fun part of their routine. Maria and her children were just one of seventy families graduating from the 7-week Family Literacy program in March armed with new knowledge, a kindergarten readiness tool kit, and a commitment to continue to make reading matter for their children. If a collaborative effort is made to provide access and empower families with young children we at Words Alive and other organizations working together can make a huge impact on our community. At Words Alive we believe that Literacy is the foundation of community and economic development. When everyone can read, whole communities thrive.